Getting a set of sparkling teeth usually comes with a hefty price. 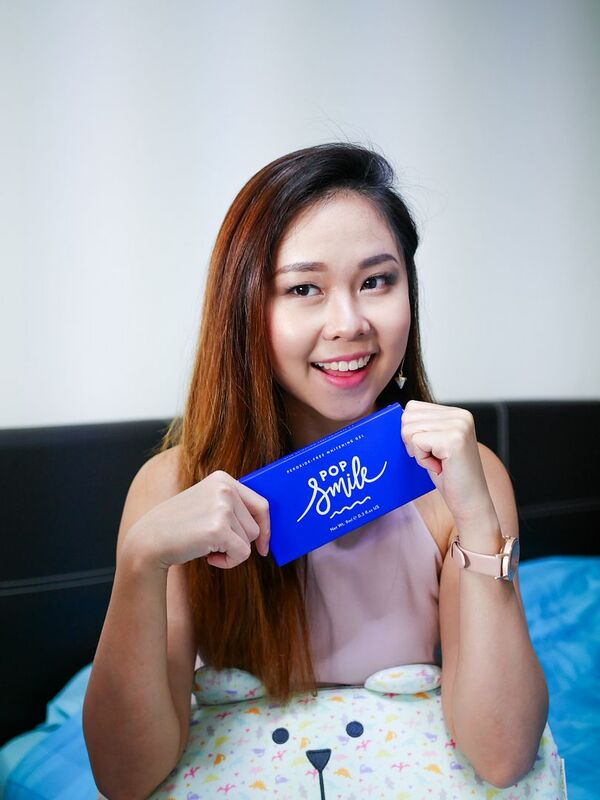 You have to pay quite a big sum to get your teeth whitened at the dental clinic, but why the trouble? 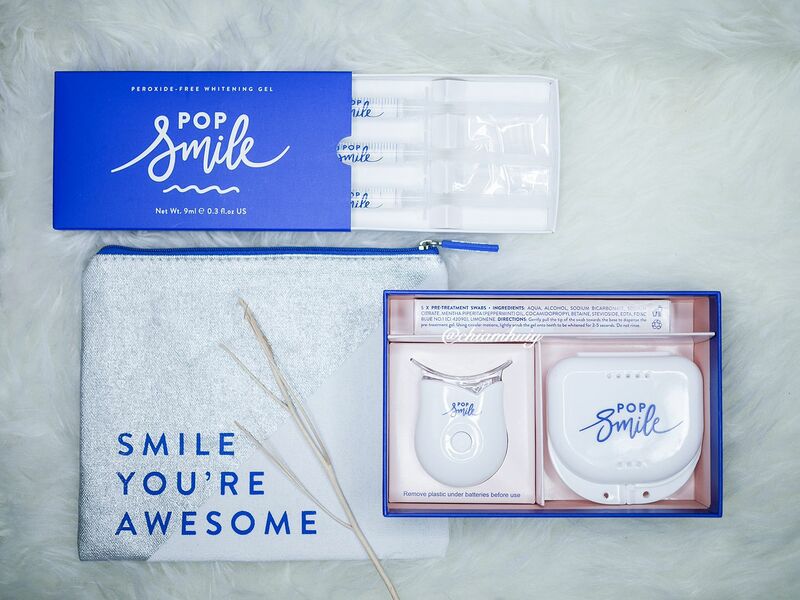 If I tell you now that you can achieve whiter teeth at the comfort of your own place, wouldn't that sound perfect? 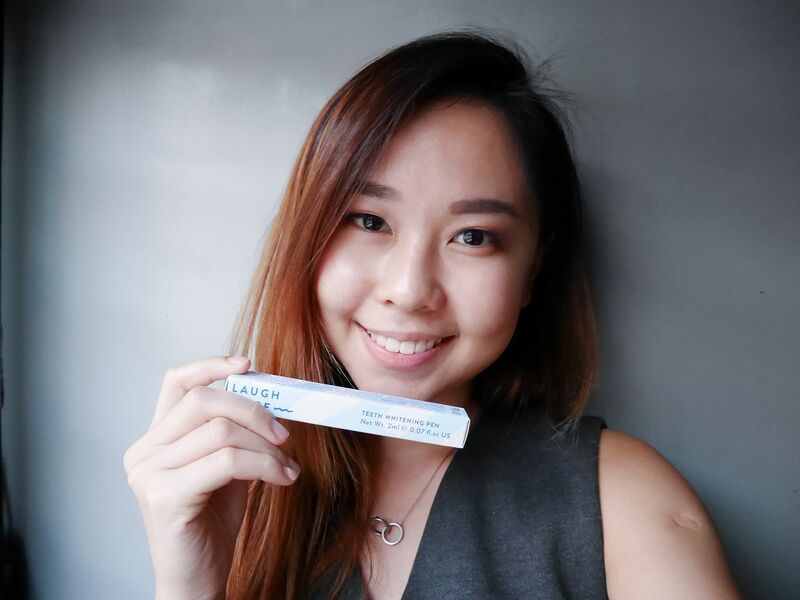 I had a try on this amazing Ultimate Teeth Whitening Kit and I wanted to show you how easy it is to use, and the results after using it for a while! 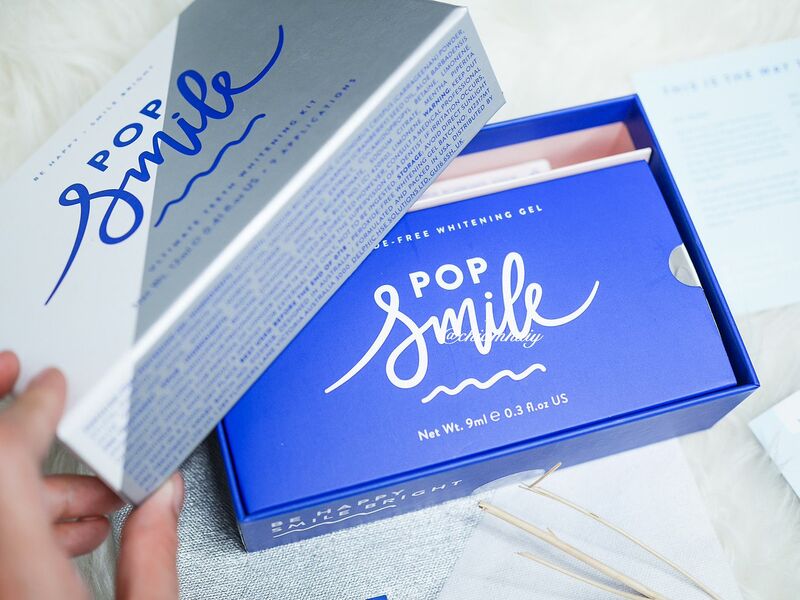 Here I have the Ultimate Teeth Whitening Kit, available on https://popsmile.com/. Side track a little, I really love the travel pouch included in this kit! I can thus bring this bag of teeth whitening kit to my boyfriend's place if I have to stay over. It's so thoughtful of them to include this travel pouch. 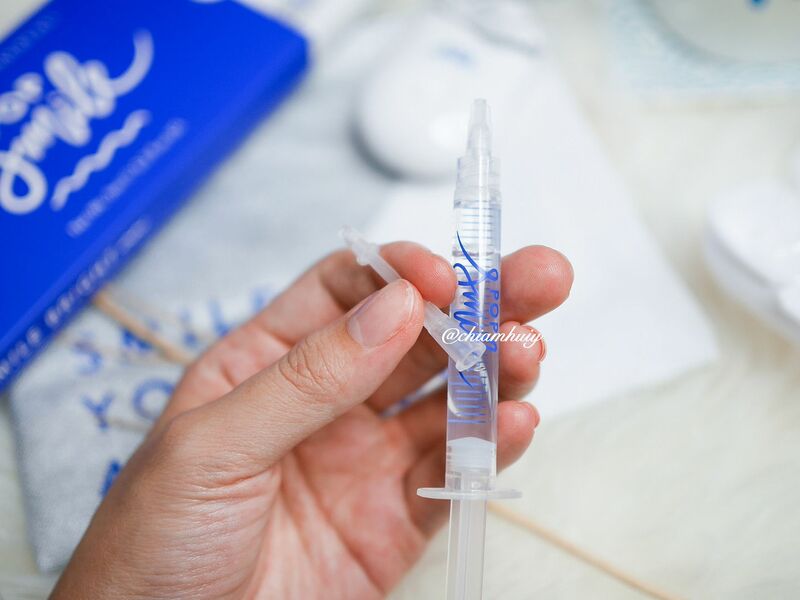 It is recommended to use 9 consecutive treatments (don’t skip for best result) and remember to brush your teeth before use! For quicker results, use twice a day - once in the morning after brushing teeth once at night. Also, avoid dark drinks such as wine and coffee during the course of treatment. 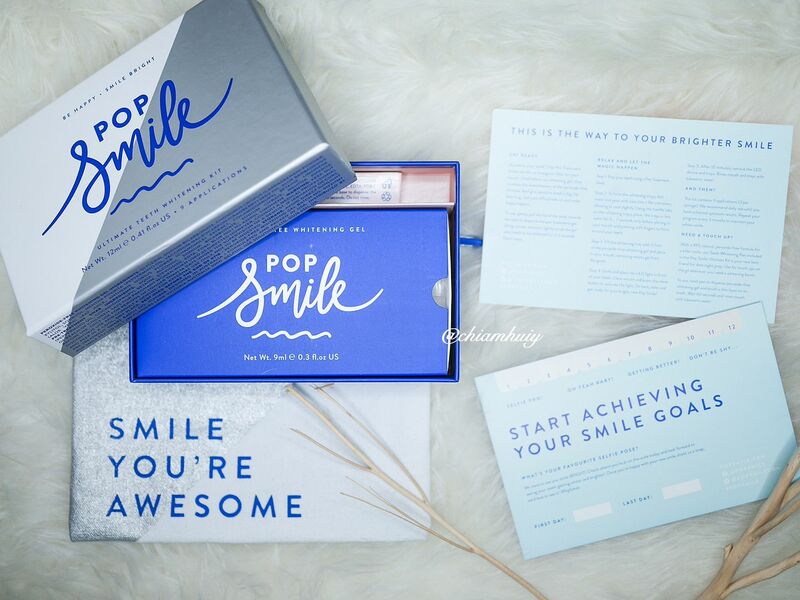 Now I'll bring you through on how to use Pop Smile Ultimate Teeth Whitening Kit. 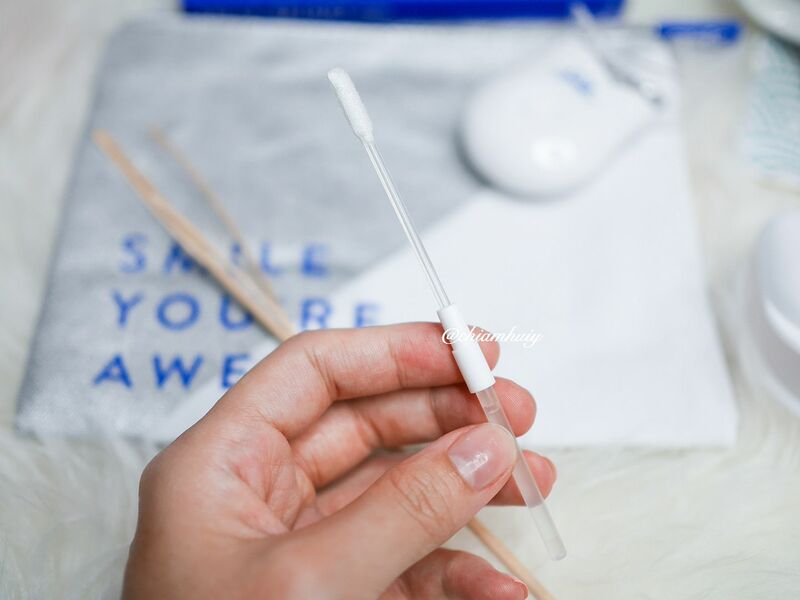 In the kit, you have several Whitening Accelerator Swabs which is patented by Pop Smile, and are proven to help give whitening results in 50% less time. All you have to do is to push the end inwards to release the gel inside. Step 2: Mould the Mouth Trays according to your teeth shape. You'll find two Mouth Trays nicely put in the mouth tray holder. What you need to do is to put in a cup of hot water for about 7 seconds (longer if need be) to soften the mouth tray. 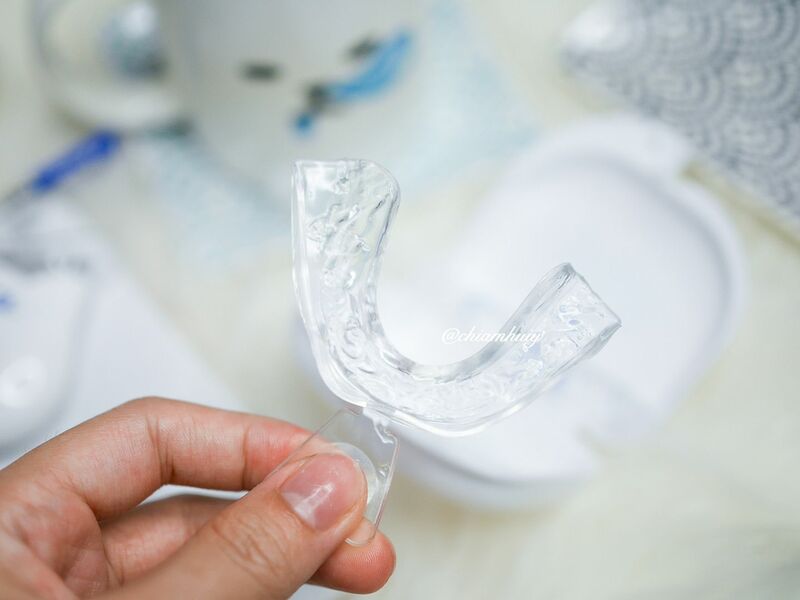 As you know, we all have different teeth shapes, so a mouth tray allows you to personalize the tray according to your teeth shape, for better results. Place tray in mouth and mold firmly over teeth for 8 seconds. 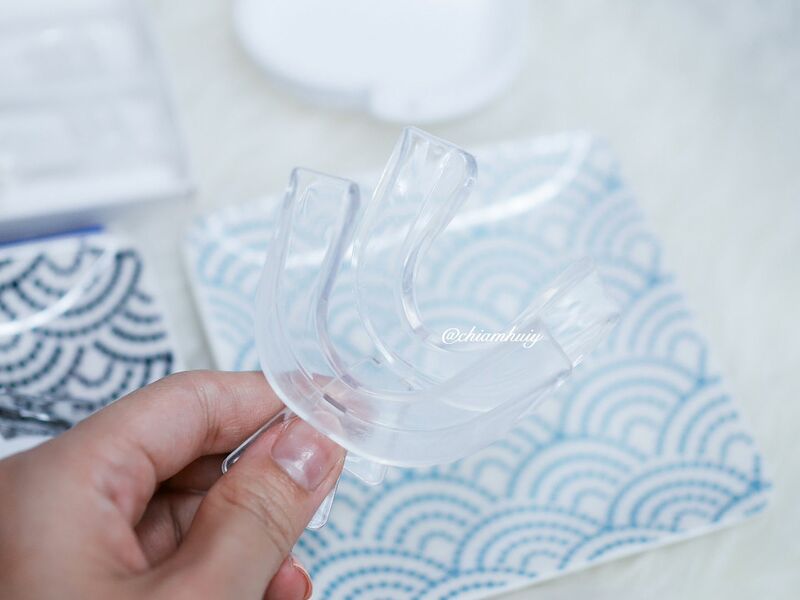 Repeat for both trays.You should be able to mould the tray into the shape of your teeth, both your top and bottom teeth. I love how there's also a container included to keep the mouth trays. 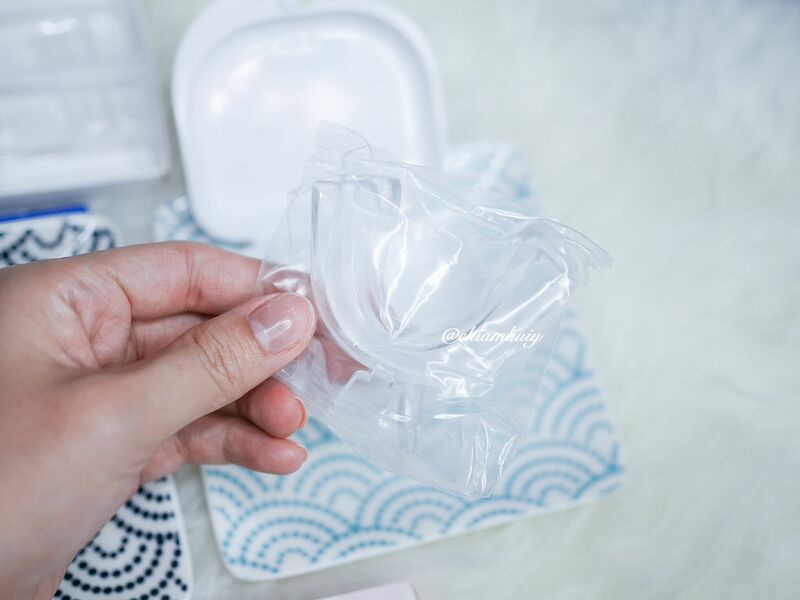 Remember to cut off the tabs (tab is for you to hold and dip the trays into hot water for the first time) after you are done with moulding. 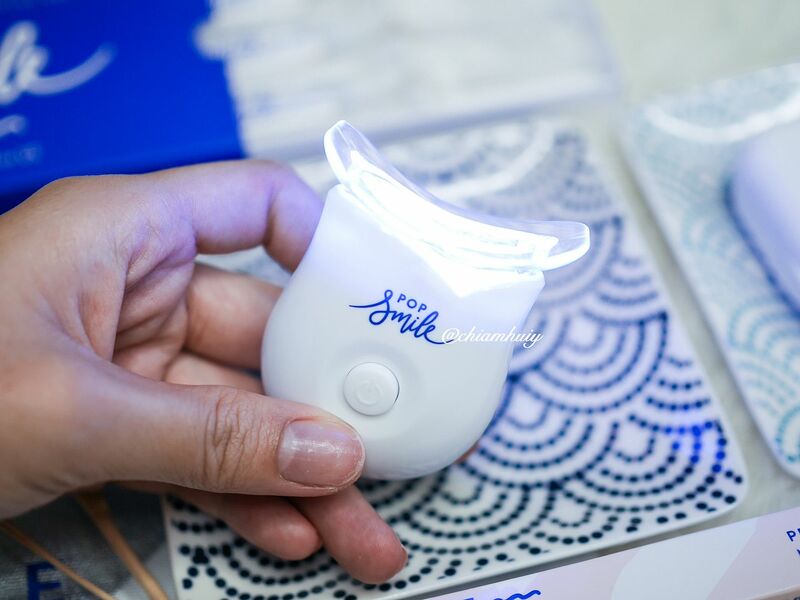 In the kit, the next thing you'll use is the Whitening Gel. It comes in a syringe so that it's easy to apply onto the mouth tray. 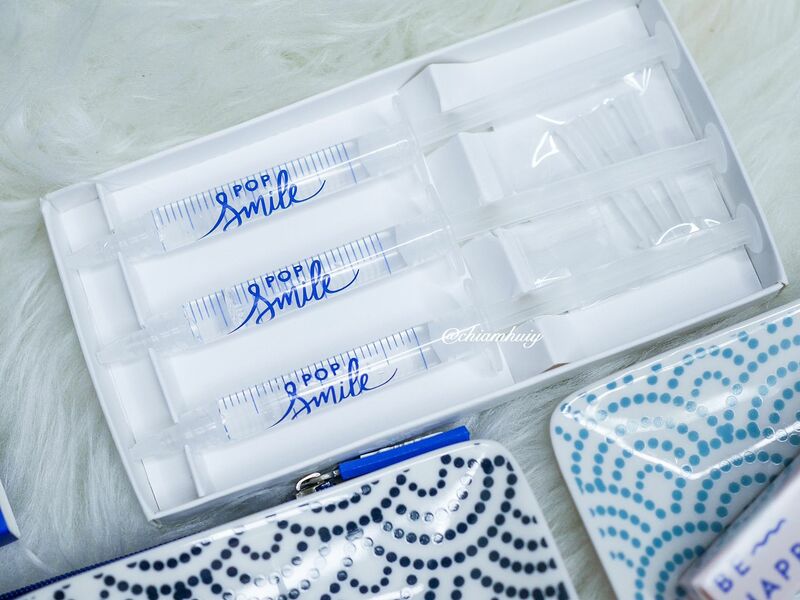 Fill each mouth tray with the Whitening Gel and place in your mouth. 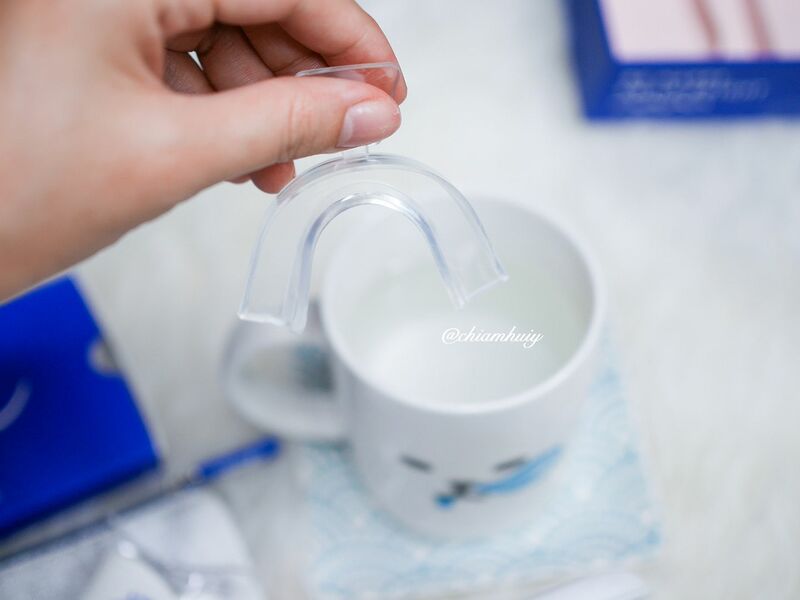 Take it out after the gel transfers to your teeth. Step 4: Finally, time to let the LED light do the work! 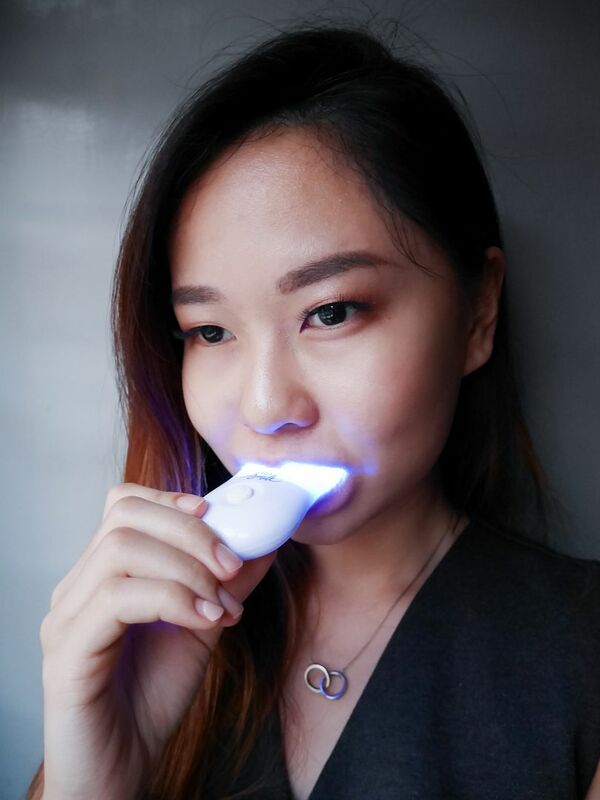 Place the LED activator into your mouth like this. For better results, you can use this kit twice daily until you have achieved optimum results. This kit contains 9 applications altogether. 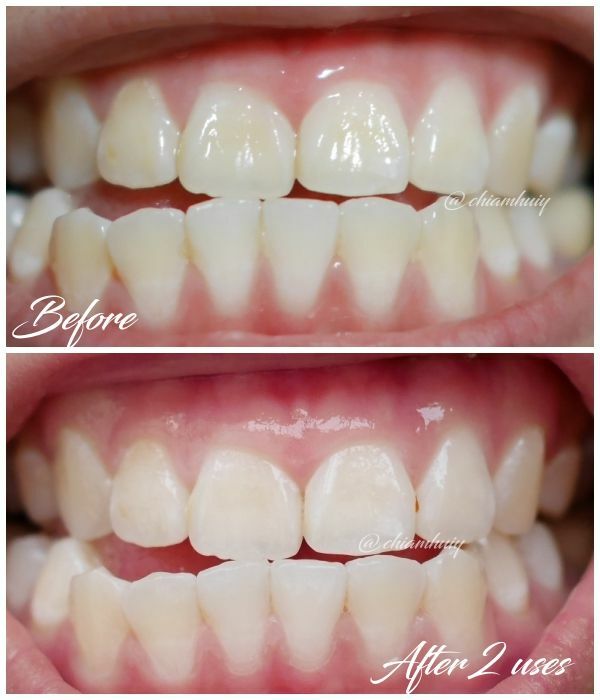 Repeat your program every 3 months to maintain your whiter smile. 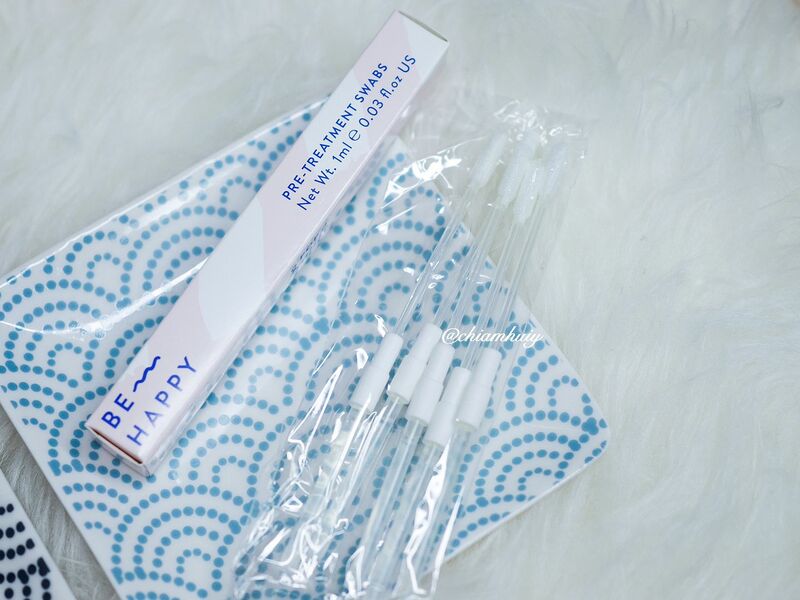 Use your whitening pen for touch ups in between treatment or for a date night prep. 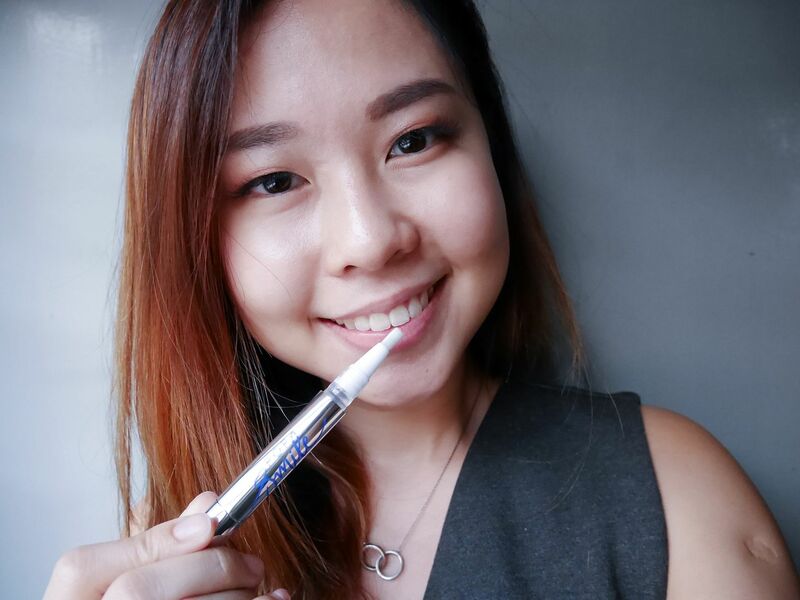 For touch ups on the go, or last minute life saving methods, you can try the whitening pen which is included in Pop Smile Ultimate Teeth Whitening Kit. For a better illustration, click below picture to enlarge. Before and After using Pop Smile Ultimate Teeth Whitening Kit. Slowly, but surely. I can see that my teeth has whitening a little just by a few uses. Make sure you are diligent enough and not give up half way! 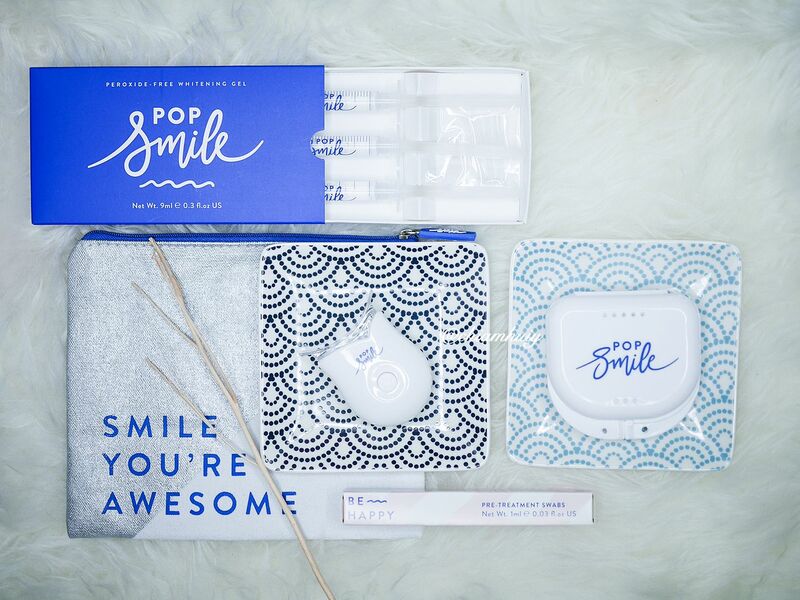 If you are worried, Pop Smile Teeth Whitening Kit Safe is perfectly safe on sensitive teeth. 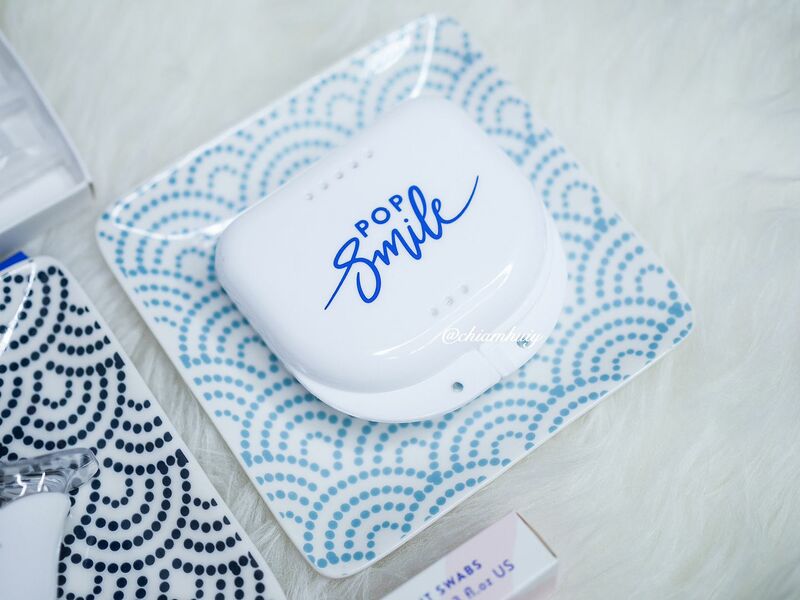 The 99% natural, non-peroxide formula whitens teeth by up to 8 shades in just 5 days. 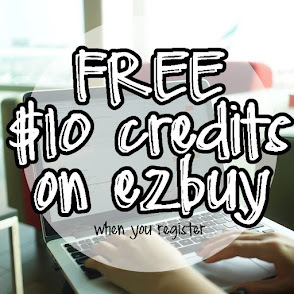 It is formulated with naturally active ingredients like Organic Peppermint Oil, Cranberry Seed Oil, Aloe Vera and Chamomile Flower Extract.